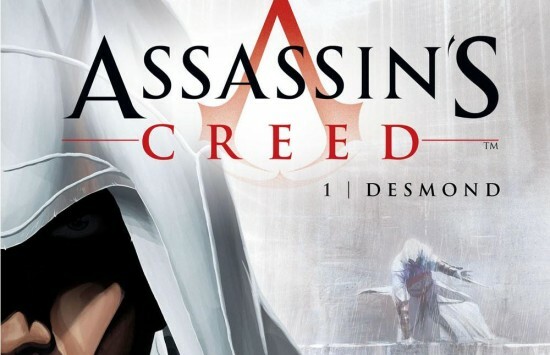 This first volume of the French comic trilogy from Ubisoft, tells the story of Desmond Miles’ abduction by Abstergo and their plans to rip the blood-steeped memories of Desmond’s ancestors from his genetic code. Add to the mix the mysterious and violently terrified Subject 16 and a desperate flight from Abstergo, and this makes for a fast-paced and thrilling addition to the game’s universe. The holidays are a time for giving and since the Flickcast appreciates what our readership does for us we are going to give back during the month of December. In our first of 4 holiday giveaways, we are giving out a brand new, unopened copy of the Skylanders Giants Starter Pack for XBox 360 from Activision. This includes a copy of the game, the Portal of Power, Giant Skylander Tree Rex, Series 2 Skylander Cynder and new Skylander Jet Blast. Here’s how it’s going to work. Go to the Flickcast twitter feed, which can be found on the right side of our mean page or just on @theflickcast. There will be a post reading “RT this post in the next 7 days to win Skylanders Giants“. Please make sure you hit the Retweet button and not just quote it or we won’t be able to track your RT. On Friday the 14th, one random RT will be chosen and the winner will be sent a copy of the game. Winner must live in the continental United States. Winner will be given 48 hours to reply to notification of winning or a new winner will be decided. Get RTing people! Twitter Giveaway: ‘The Rite’ iTunes & Pizza Prize Pack! OK, horror fans, what’s better than relaxing on the couch with a scary movie, good friends, and a large pizza while the scares roll in? Not a whole lot, that’s what. That’s exactly what we’ve got for you with a brand new Rite Twitter Giveaway! It’s going to be a pretty deep horror question, so be sure to get your brains ready, watch our Twitter feed, and check out the synopsis and clip from The Rite after the jump to prepare you. Good luck! It’s that time again! Twitter Giveaways are much like Christmas around the Flickcast hallways, except we don’t get anything, and it happens way more than once a year. This time, we’ve got some quality laughs in the form of Spike’s Blue Mountain State: Season One on DVD courtesy of Lionsgate Home Entertainment. Starring Darin Brooks, Bring It On’s Gabrielle Dennis and Smallville’s Sam Jones III, the football comedy has been referred to as “Friday Night Lights meets Entourage“. Now, you get to experience the entire first season all in one swoop. 1. If you aren’t already, follow us on Twitter @TheFlickcast. 3. Sit back, relax, and wait to hear back from us. If you do, you’ve won! That’s how easy it is, folks. Check out the full features from the DVD set after the jump, and good luck! Twitter Giveaway: ‘Covert Affairs’ Prize Pack! Deep down, whether we admit to it or not, we dream about living the life of a spy. Going on adventurous missions, saving lives, living the high life in a different city every night, it all sounds pretty dreamy. Now, thanks to USA and Covert Affairs, you can get one step closer to that life. This awesome gift bag includes all the things anyone would need to live the secret life of an international spy. USA Network has your Tuesdays covered with the best looking night on television with the new hit series Covert Affairs at 10pm. COVERT AFFAIRS stars Piper Perabo, Christopher Gorham, Peter Gallagher , Kari Matchett, Anne Dudek and Sendhil Ramamurthy. Visit the official Covert Affairs website for games, photos and weekly prizes. Visit USA Network’s Character Arcade to play games, challenge friends and for more chances to win prizes! ENTER TO WIN a COVERT AFFAIRS Gift Bag! Next Friday, fans of music and comedy everywhere will come together to enjoy the newest film from Forgetting Sarah Marshall writers Jason Segal and Nicholas Stoller, Get Him To The Greek. The film stars Jonah Hill, Sean ‘P. Diddy’ Combs, and Rose Byrne, with Russell Brand reprising his Sarah Marshall role as Aldous Snow. Joining them is just about every popular music artist you can think of, from Lars Ulrich to Pink to Christina Aguilera. In promoting the film, we’ve got a pretty awesome giveaway for you, via our Twitter Account. The prize pack consists of the brand new Infant Sorrow- Get Him To The Greek CD, which hits stores on June 1st, along with an awesome Infant Sorrow classic rock t-shirt. Check out the t-shirts after the jump, along with the tracklisting for the CD, and be sure to keep an eye out on our Twitter later today for your chance to win this killer giveaway! While you’re already getting your big Academy Awards party ready in time for the telecast on March 7th, we’ve got something for even bigger movie fans to enjoy. Of course, we’re talking about a movie marathon! All month long, Turner Classic Movies will be running over 360 Academy Award nominated and winning films, back to back, with an interesting twist. In the vain of the game “Six Degrees of Kevin Bacon,” each film will have a common actor or actress from the previous film. For example, tomorrow night’s schedule consists of The Graduate with Anne Bancroft and William Daniels, which goes into Reds which stars Daniels and Jack Nicholson, into Chinatown with Nicholson and John Huston. Though we’re already about two weeks into the marathon, there are still plenty of great films to look forward to, including some TCM firsts like Gladiator, Titanic, Alien, and Trading Places. We’re also going to be helping you celebrate the upcoming 82nd Annual Academy Awards on March 7th with a great prize pack, so be sure to keep an eye on our Twitter for details on how to win. In the meantime, check out the schedule for this weekend’s films on TCM, and be sure to download the full schedule in PDF format. If not, you could always watch them blind and try to figure out the common actor/actress. Have fun! We’re all pretty big fans of horror here at The Flickcast. All month long, we’ve been putting out a series of Horror Reviews for you to check out in order to get you into the mood for the big holiday. Now, we’re going to help you get in the mood even more, with a little help from Blockbuster. About a month ago, we teamed up with Blockbuster to bring you the Top 10 Football Movie prize-pack, and due to the overwhelming success of the contest, we’re doing it again–only this time, with monsters! Blockbuster has put out a list of their top 10 Horror Movie Monsters, which range from The Creature from the Black Lagoon, to King Kong, to just about any and all Zombie/Werewolf/Vampire films. Weigh in at their site if you have any suggestions they may have overlooked. This time around, much like the last Twitter Giveaway, we will be tweeting a trivia question later today. If you are the first one to @reply with the right answer, you win the prize pack! From there, you’ll have 20 movies to choose from in order to get your Monster fix. So be sure to keep an eye on our Twitter page and our tweets later today, because you can most definitely be a winner. Happy Halloween! !